Stuart Weitzman sandal with golden hardware. 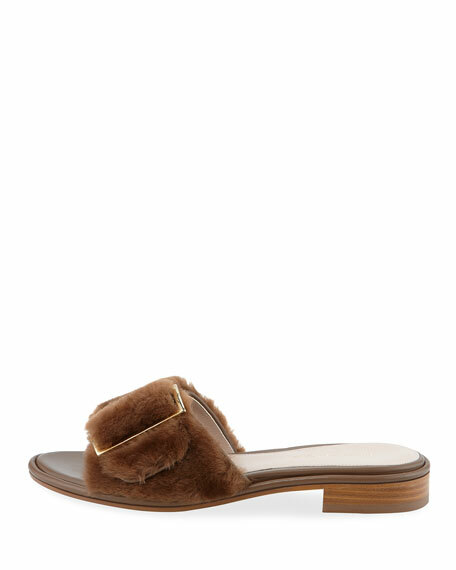 Dyed lamb shearling (Spain) toe band with oversized buckle. "Fuzzywuz" is made in Spain. For in-store inquiries, use sku #2407773.